On 17september, Within the framework of “Clean Up Georgia ” campaign a large-scale clean-up action was held in Sighnaghi, organized by the regional coordinator of Greens Movement of Georgia/ Friends of the Earth Georgia with participation of representatives of Sighnaghi self-governing body of the municipality, NGO representatives, along with school pupils and teachers. On 17 september, In the framework of “Clean Up the World-Clean Up Georgia ” campaign a clean-up action was held in Lagodekhi municipality, which was organized by the local coordinator of the Greens Movement of Georgia / Friends of the Earth Georgia with support of local authorities and participation of employees of Lagodekhi Youth and Sports Development Centre, volunteers. 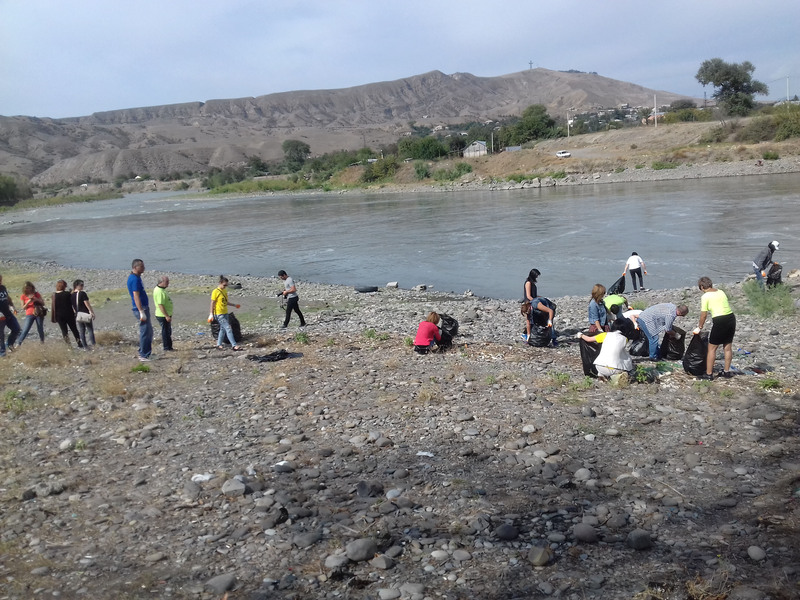 On 17 September in the framework of “Clean Up the World - Clean Up Georgia” campaign a clean-up action was held in Kutaisi. During the action Queen Tamar street and N9 public school surrounding areas were cleaned up. Around 60 volunteers took part in the action along with City Hall and City Council employees. Approximately 1,5 ha area has been cleaned up and 4m3 waste were collected and taken to the landfill. 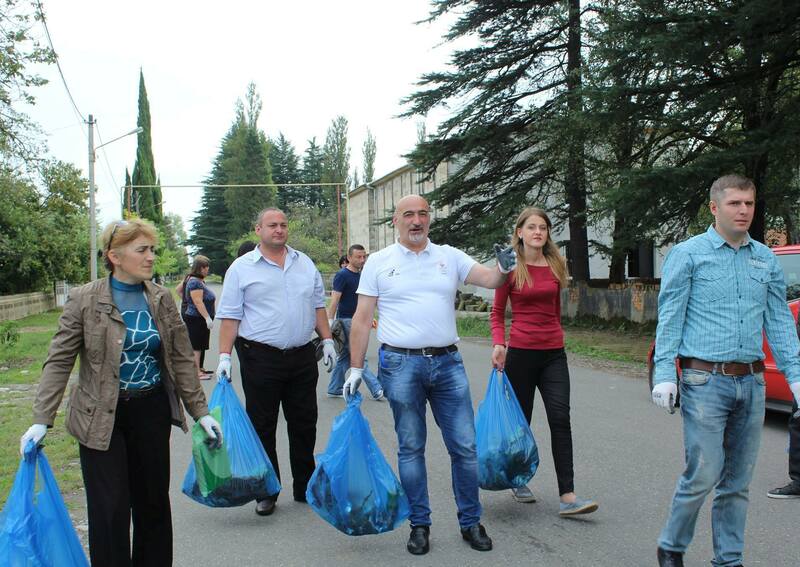 On 16-17 September in the framework of “Clean Up the World - Clean Up Georgia” campaign a large-scale clean up action has been conducted in Tskaltubo municipality. The event has been organized by local coordinator of the Greens Movement of Georgia/ Friends of the Earth Georgia with participation and support of Local Authorities. During the action has been cleaned up Tskhaltubo Municipal Council, Gamgeoba, School of Art, Central Park, public schools, Central Park area as well as the forest park area near Deda Ena (Mother Tongue )Street. On 17 September in the framework of “Clean Up the World - Clean Up Georgia” campaign a large-scale clean up action has been conducted in Poti, organized by the Greens Movement of Georgia/ Friends of the Earth Georgia with participation and support of Local Authorities. The annual international campaign – “Clean Up the World " has been launched across the globe on 16 September, established by the initiative of UN Environment Programme (UNEP) in 1993 with the objective to address local environmental challenges and encourage governments, business sector representatives, civil society organizations, individuals to come together for carrying out wide clean-up actions and implement the relevant programs. Currently, more than 130 countries worldwide are involved in the campaign , including Georgia. Within the framework of "Clean Up the World - Clean Up Georgia" campaign . 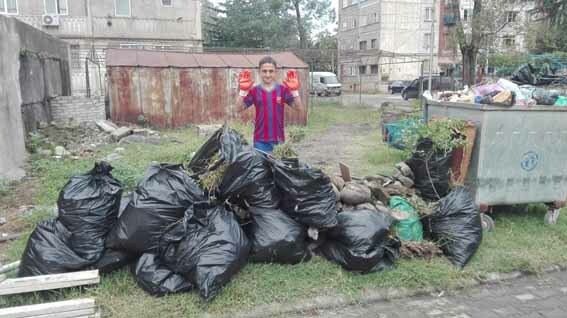 a clean up action has been conducted in Rustavi. The event has been organized by local coordinator of Greens Movement of Georgia/ Friends of the Earth Georgia and with support of local City Hall. 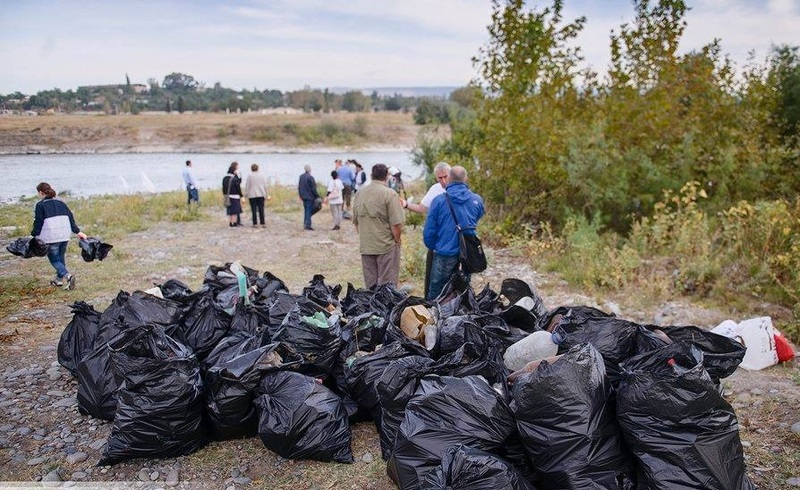 During the action surrounding area of Rustavi park and river Mtkvari shoreline have been cleaned up. Within the framework of "Clean Up the World - Clean Up Georgia" campaign . a clean up action has been conducted inAbasha municipality. The event has been organized by local coordinator of Greens Movement of Georgia/ Friends of the Earth Georgia. The event has been also attended by the representatives of local government and employees of different organizations, Abashapublic school pupils. 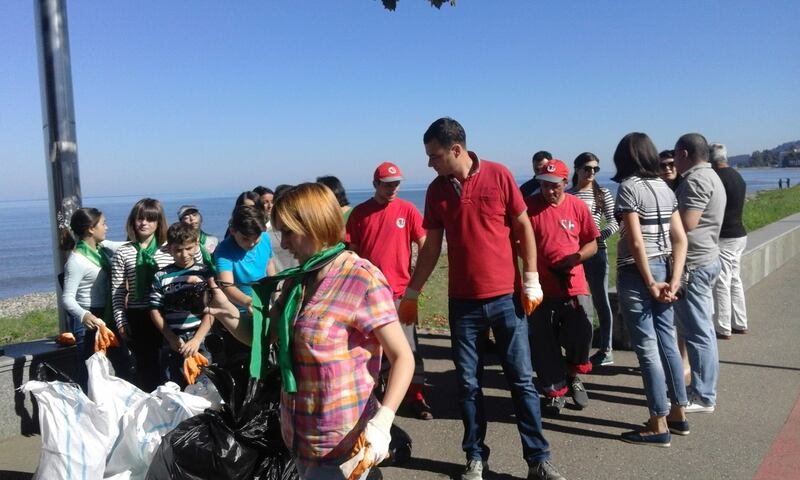 On 16 september, Within the framework of “Clean Up Georgia ” campaign a 2-day Clean up action was conducted in Batumi, with participation of representatives of Adjara Environmental Protection Service ,students of Batumi Youth Palace , disabled children of Batumi Azdaki Garden” theatre, parents and theatre managers. During the action were cleaned up coastline area adjacent to the hotel “Sheraton” and central districts of the city. Totally, 150 people participated in this event, around 40 000m2 area has been cleaned up and about 7m3 of waste were collected. The event has been organized by regional coordinator of Greens Movement of Georgia/ Friends of the Earth Georgia in Adjara. On 16 September, Within the framework of “Clean Up Georgia ” campaign a large-scale clean-up action was held in Khoni Municipality, organized by the regional coordinator of Greens Movement of Georgia/ Friends of the Earth Georgia with participation of representatives of Khoni Municipality, public school pupils, representatives of various public institutions, the National Mental Health Center "employees. During the campaign were cleaned up the central area of the town and centers of the villages. About 3 ha area has been cleaned up and 80 m3 of waste were collected . Around 300 volunteers participated in the action. On 16 september, In the framework of “Clean Up the World-Clean Up Georgia ” campaign a clean-up action was held in Dedoplistskaro municipality, which was organized by the local coordinator of the Greens Movement of Georgia / Friends of the Earth Georgia with support of local authorities. On 16 september, In the framework of “Clean Up the World-Clean Up Georgia ” campaign a clean-up action was held in Dedoplistskaro municipality, which was organized by the local coordinator of the Greens Movement of Georgia / Friends of the Earth Georgia. 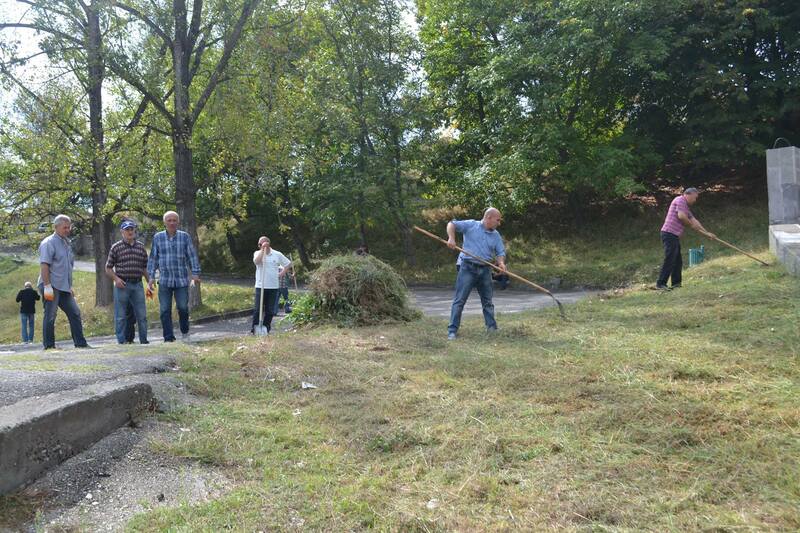 During the action were cleaned up Patardzeuli Savane - Patriotic War Memorial, Iornmughalo and Badiauri Gamgeoba surrounding areas, public schools and kindergartens yards. On 16 september, In the framework of “Clean Up the World-Clean Up Georgia ” campaign a clean-up action was held in Kvareli municipality, which was organized by the local coordinator of the Greens Movement of Georgia / Friends of the Earth Georgia with support of local authorities. 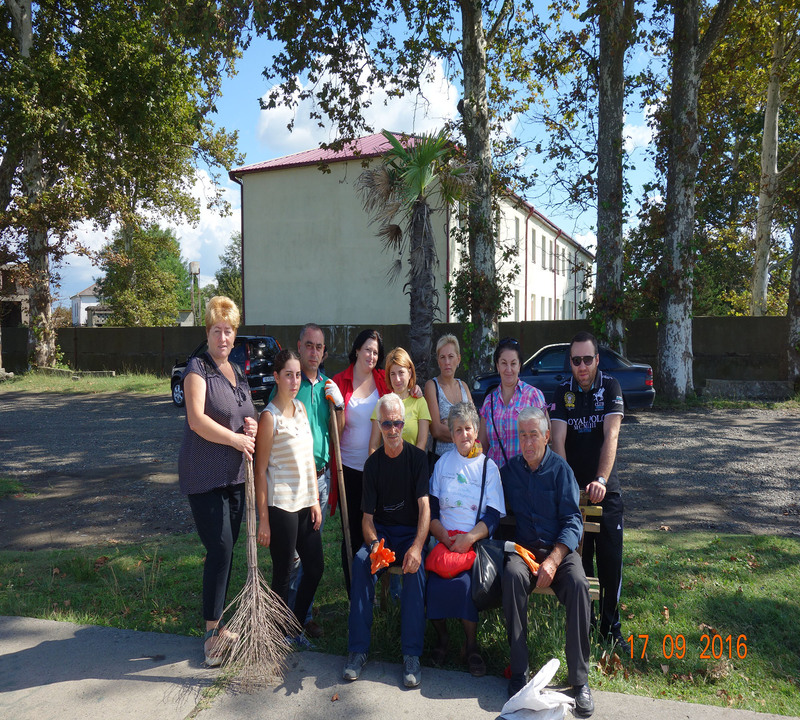 During the action were cleaned up Archangel and Nekresi church areas, with participation of local residents. 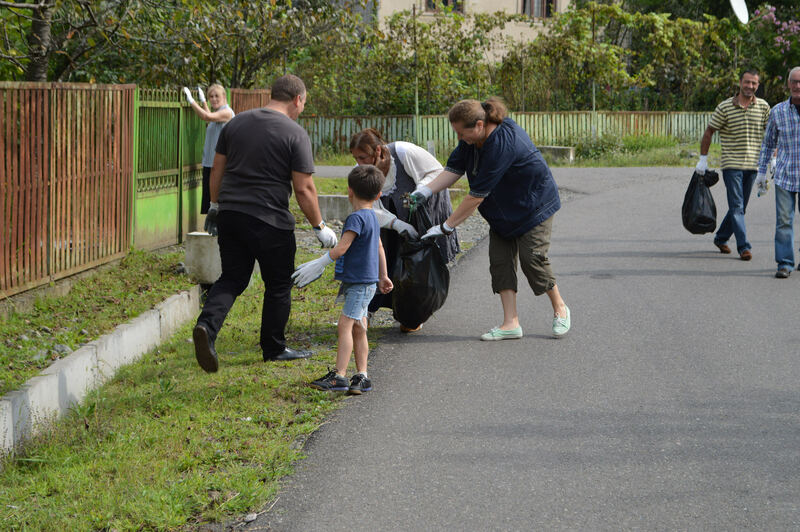 On 16 september, In the framework of “Clean Up the World-Clean Up Georgia ” campaign a clean-up action was held in town Borjomi, during which Borjomi center neighborhood area and N1 public school playground have been cleaned up. In the event along with organizers the representatives of local residents took part in the action. Around 106 volunteers participated in the action, 34 bags of waste were collected and 15 ha area has been cleaned up.